So, you might have heard about the goring of José Tomás, the famous bullfighter of Spain, at the fair of Aguascalientes, México last Saturday since it’s all over the news. In this post, I will not be writing of the tragedy, but instead I will share a festive side of the State of Aguascalientes. It all began in 1828 with a government’s vision that unfolded at a market, a loan of 8,000 pesos ($670.00 U.S dollars) from one merchant and of course lots of enthusiasm from the merchants in Aguascalientes. Despite this being the first Feria de San Marcos, it gained lots of success that drew people from different states throughout México and abroad. 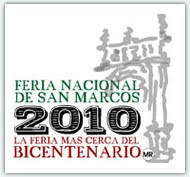 The San Marcos Fair started as a simple country fair with livestock, and then modernized to also include new events such as cockfighting, bullfighting, the Queen of the Fair Pageant, and traditional Aguascalientes dress. The San Marcos Fair which lasts thirty days provides an opportunity for growth and exposure of local, regional and national economies that come together and share the original vision. Every year, the state of Aguascalientes invites a Mexican state and a foreign country to share their culinary arts, fine arts, music and dance with the people. This year, Feria de San Marcos will be celebrating 180 years of festivities, making it the Number One national fair in México. This post was written by Vicky Hsiang, who is a student at the University of Washington Intensive Business English Program. She has the equivalent of a Bachelor's degree in Spanish from her native Taiwan, and is interning with us during Spring Quarter. TechBA is a company from Mexico which introduces other Mexican companies into the U.S. and other countries. It is believed that this will create more local job opportunities. Washington’s information technology, aerospace and biomedical companies are supportive of TechBA. The State Department of Commerce has provided TechBA team members with temporary meeting rooms because of the potential to create local jobs. TechBA will expand its company into Seattle at the end of April. The firm already has several offices in the U.S.; this office in Seattle will be the fifth. The reason that TechBA chose Seattle for its fifth office is related to Microsoft; we know that Microsoft has a tradition of hiring employees who are graduates of the Monterrey Institute of Technology in Mexico. Itzam de Gortari, director of TechBA, said they will analyze Seattle companies to find a good match with Mexican counterparts and will introduce 15 Mexican companies to Seattle by the end of October 2010. This article can be found in this week's Puget Sound Business Journal. This post was written by Vicky Hsiang, who is student at the University of Washington Intensive Business English Program. She has the equivalent of a Bachelor's degree in Spanish from her native Taiwan, and is interning with us during Spring Quarter. When she was young, Castañedad moved to a small town in Mexico with her mother and sister for one year. They spent that year opening a library there. Her grandfather enjoyed telling her stories about the townspeople and the town’s past. Those stories inspired her to write a novel. After Castañedad came back, she started to write the novel; however, it was not easy to finish. She suffers from a neurological disorder that impedes her brain from sending correct signals to her muscles. She had to spend most of her time in bed. She didn’t give up her novel, however; the disorder strengthened her conviction to finish her novel. After two years, Castañedad showed it to her teachers, who encouraged her to publish the work. This novel is about a farmworker living in 1907— a Latina who knows how to read and write, and those abilities help her attain more knowledge. I admire the author, because she didn’t give up when she was sick. I am older than she is and healthier; however I haven’t persisted the way she has. Every time when I meet an obstacle, it is easy for me to quit, or at least complain. A 15-year-old girl can overcome her pain to achieve her dream and share her opinions with others. We should learn from her. We have a Chinese saying: “Even though it is a very cold and dark night, don’t forget the beautiful morning is coming.” When we persist, there are many amazing things waiting for us. Nowadays, cultures are more and more globally connected, but the U.S. is somehow falling behind, especially in education. 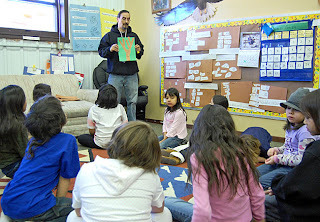 According to an editorial in The Seattle Times (April 7, 2010), Seattle Public Schools have language-immersion programs to help solve this education problem. In these programs, students are taught 50 percent of the time in English, and the rest of the time in a foreign language. The test results show that students who are in these programs have higher scores overall than those who are taught in English only. Educators also point out that students in elementary school can learn foreign languages more easily than others. In Seattle, nearly 50 percent of elementary students are eligible for bilingual education. Seattle’s language-immersion programs are very successful, and they could help improve the quality of education in the U.S.
From my experience, in Asian countries, all the students must study their native language and English in elementary school. For example, in Taiwan, our government made English one of the main subjects in elementary school 12 years ago. Nowadays, trilingualism is more and more common among the younger generation. In school we study English at least 10 hours per week, which is why most students have high scores. However, in Asian countries there is an interesting phenomenon: those students are only good at reading, listening and grammar, not conversation. They know a lot of English vocabulary, but they cannot speak it. The main reason is the high student-teacher ratio; there are more than 35 students in one class, so students really don’t have a chance to speak during the class. Moreover, students tend to be quiet during the class out of respect for the teacher. It is hard to encourage students to speak. Some educators discovered this problem, so now there are many ways to study in the U.S. or other countries. In the future, we’ll have even more opportunities to go to other countries. Even if you don’t travel, you can still meet people from other countries and exchange ideas with them. Communication is very important, not only in our native language but also in other languages. When you talk to people from other countries in their native language, they will feel you are very friendly and eager to know their culture. If you would like to reference the editorial, click here. Goodwill offers a training center with English and computer classes to help non-English speakers find jobs. The class is one semester long and the center will start a new class in mid-May. These classes are free and include a computer lab which can give students the opportunity to learn how to use Word and Excel to practice their English while learning new computer skills. According to the instructors, most of the students have difficulties finding a job. The reasons are a lack of English ability and steady employment history. They need to learn how to be on time, to have a good working relationship with coworkers and to be responsible for their behavior. “We provide training with real work experience. We look at it seriously and ask for our students to be responsible,” Instructor Susan Matta says. Those things are important, so those are the top tasks for the instructor. The class is usually 90 minutes long and meets twice a week. The teachers take the participation of the students in the class seriously because it is job training. Moreover, it is a way to enter the workforce. Some who enter this center have barriers; they may not have a home or transportation, and they may have a criminal or substance abuse history. Elizabeth Acorda, the instructor and expert in the Burien center, says that most of her students are refugees, women who don’t have jobs and those who had a temporary job that ended. As an international student in Seattle, I think it a great idea to offer a class for those who do not speak English well. The work environment is new to us and there is so much “common sense” that is not common to us! In this center we can learn about the real work experience, study English and learn how to use a computer. It is good news for non-English speakers and for their employers. If you are interested in this program, you may call the center at 206-860-5791 and make an appointment. They will test you to determine your level in English and Mathematics. For more information please check the website.